According to the American Academy of Otolaryngology, approximately 80% of the whole population is suffering or have a deviated septum. However, not everyone in the said 80% know that they are suffering from deviated septum, not unless they will exhibit or experience various signs and symptoms. Deviated septum is a condition wherein the nasal septum (cartilage separating the right nostril from the left nostril equally) is displaced to one side of the nose, making it crooked and off-centered. In serious cases of deviated septum, there will be symptoms already, including sleep apnea. In order to successfully treat or address sleep apnea and other symptoms associated with deviated septum, it will be best if you will consult your physician. One of the most common symptoms of deviated septum is nasal obstruction that is caused by the displacement of the nasal septum to one side of the nostril. Nasal obstruction may lead to complications that can cause nasal congestion and/or recurrent or chronic nasal infection. Nasal obstruction may cause difficulty in breathing through the nose, which can restrict proper air flow. Nasal obstruction should not be taken lightly and needs to be treated accordingly. Recurrent sinus infection in cases of deviated septum can be caused by nasal obstruction. Fluid from the nasal cavity can’t drain out of the nose due to the nasal obstruction, which can cause an inflammation in the sinus cavity, and can affect a person’s ability to breathe in and breathe out air. In cases of recurrent sinus infections due to nasal obstruction associated with deviated septum, surgical procedure/s may be recommended to correct the problem and restore normal breathing and proper drainage of nasal fluid. Another common symptom of deviated septum is postnasal drip. In postnasal drip is characterized by excess mucus draining or dripping in the back of the throat, which can cause bad breath, sore throat, and/or cough. To effectively treat postnasal drip in deviated septum, the deviated septum must be treated. Medications, such as decongestants, can be taken to help relieve swelling and promote proper nasal drainage temporarily. Sleep apnea is considered to be one of the most life-threatening sleep disorders characterized by episodes of breathing cessations during sleep. 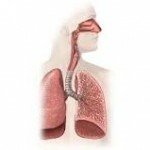 Sleep apnea can cause reduction of oxygen to the blood and brain, which can be very dangerous. 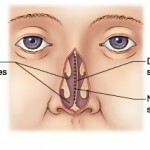 One of the most common causes of sleep apnea is deviated septum, which can cause nasal obstruction. If sleep apnea is diagnosed and is proven that deviated septum is the major cause of the problem, surgical treatment of the deviated septum may be recommended. How Do You Know If You Have a Deviated Septum?